Partnership opportunities with agencies and companies can support and propel your business growth. 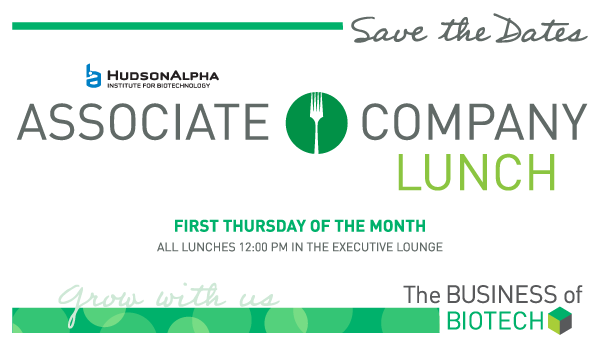 As an Associate Company leasing on the HudsonAlpha campus, you gain access to exploring these connections through capability briefings and face-to-face meetings. 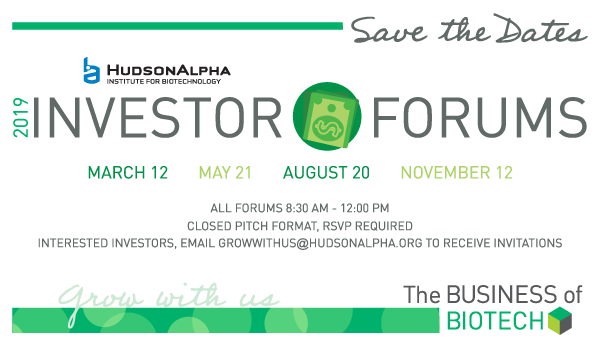 HudsonAlpha’s Research Seminars bring together experts in genetics, genomics, biotechnology, bioinformatics, medicine and immunology for free, public presentations and debate among the scientific community. 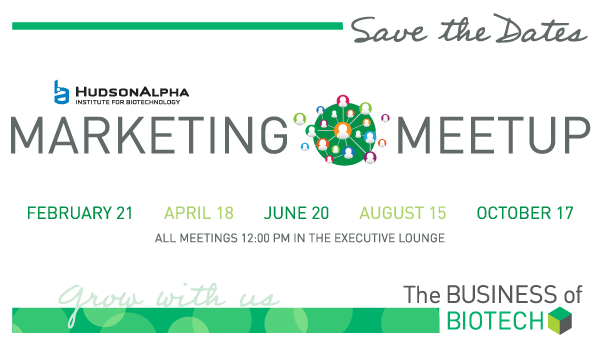 The seminars also provide valuable academic learning and discussion opportunities for scientists training in labs at HudsonAlpha and at the University of Alabama at Birmingham. 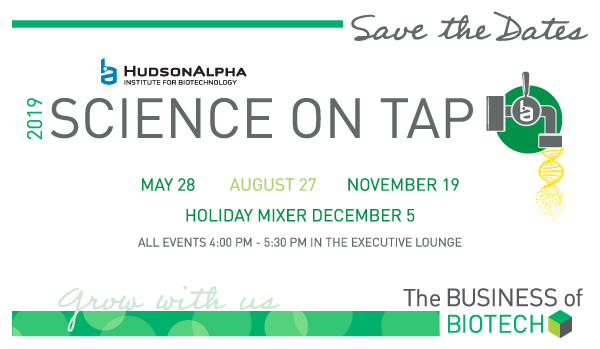 Seminars are hosted by researchers at the HudsonAlpha Institute for Biotechnology from October through May.